Sandvik appoints new mining head (0) December 15, 2015 Sandvik has appointed Lars Engström as its new president of Sandvik Mining. 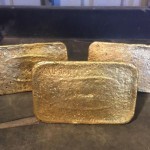 Historic Leonora gold delivers results for Kin Mining (0) December 15, 2015 Junior gold explorer Kin Mining has turned up significant results from its maiden drilling campaign at the historical Merton’s Reward site near Leonora. Worker nearly drives off underground stope (0) December 15, 2015 A WA underground worker has a lucky escape after their light vehicle accidentally drove partially over the edge of an open stope. 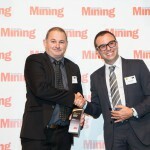 And the winner is… (0) December 14, 2015 With a raft of entries to choose from, Australian Mining can now announce the winner of our CAT truck competition. WorleyParsons win two major contracts (0) December 14, 2015 WorleyParsons has been awarded two major contracts in Canada and Bahrain. Alcoa faces calls to ban foreign shipping licence (0) December 14, 2015 The captain of a ship contracted by Alcoa to replace its Australian vessel has faced damning evidence of bribery, prompting calls to suspend the aluminium producer’s anti-cabotage licence. CIMC carry out share buyback (0) December 14, 2015 CIMIC, the parent company of mining contractors Thiess and Leighton, have announced an on-market share buyback. Weekend coal train death by misadventure (0) December 14, 2015 A man has died after he was struck by a coal train in the Upper Hunter on Saturday night. Dow and DuPont agree to $US 130 billion mega-merger (0) December 14, 2015 Dow Chemical and DuPont have agreed to a merger, with the combined entity then splitting into three companies in the next 18 to 24 months. Woodside announces $2 billion invnestment in North West Shelf gas (0) December 14, 2015 Western Australia will see a massive increase in offshore gas activity in 2020, with Woodside Petroleum greenlighting phase two of the Greater Western Flank Project (GWF-2). 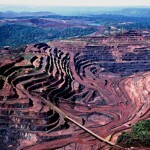 Is Rio Tinto still a buy as iron ore falls? (0) December 14, 2015 As iron ore continues its worse run since before the GFC, is now the time to pick up Rio Tinto on the cheap? 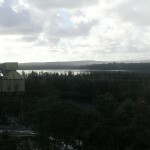 New mine water cleaning process discovered (0) December 14, 2015 A new process to clean mine tailings water, which cuts the process from years to hours, has been discovered. 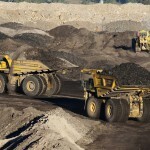 Thiess win $1.3 billion coal contract (0) December 11, 2015 Thiess has won a contract extension for work at the Lake Vermont coal mine worth $1.3 billion. 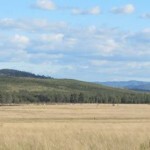 Vale push to mine Hunter Valley biodiversity offset areas (0) December 11, 2015 The Planning and Assessment Commission will today determine if Vale will be allowed to change its environmental conditions of consent for the Integra Mine Complex. 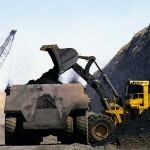 Are two thirds of coal miners making a loss? 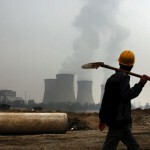 (0) December 11, 2015 New research points to more than two thirds of coal is believed to be unprofitable. 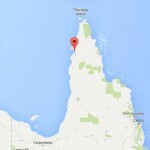 Australia Pacific begins LNG production (0) December 11, 2015 Origin Energy has announced that Australia Pacific LNG (APLNG) has begun production of gas at Curtis Island. 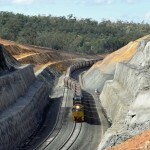 Bootu Creek Manganese to close (3) December 11, 2015 Production crews at the Bootu Creek manganese mine have been laid off as the mine is placed into care and maintenance. Pallion gains new gold bullion accreditation (0) December 10, 2015 Australian gold miner Pallion’s refinery division ABC Refinery will attract greater market confidence with its recent appointment to the London Bullion Market Association’s (LBMA) Good Delivery list for gold. Newman camp numbers debate continues (22) December 10, 2015 Local council has again voiced its disapproval of the WA Government move to renew BHP’s lease on the 1200 bed Kurra Camp, located near Newman. Monadelphous expands LNG maintenance services (22) December 10, 2015 Engineering services contractor Monadelphous has secured a new contract for services to the Karratha Gas Plant Life Extension program. Wire rope companies Bridon and Bekaert to merge (0) December 10, 2015 Two of the world’s largest wire rope manufacturers – Bridon and Bekaert – have announced plans to merge. Coal port protestors arrested (0) December 10, 2015 Activists who chained themselves to coal port machinery have been arrested. 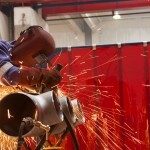 A safer way to tackle taglines – Tag-Ex (0) December 9, 2015 The high risk practices of cranage and rigging demand many controls such as; safety factors for engineering calculations, protective equipment for workers, and exclusion zones. Roy Hill’s first shipment coloured by attacks on media (0) December 9, 2015 The Roy Hill mine has reached the milestone of its first shipment of iron ore, with operator Hancock Prospecting launching an attack on the media. 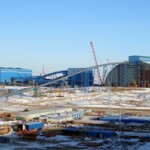 Thiess win massive Mongolian coal contract extension (0) December 9, 2015 Thiess have been awarded a four year contract extension for work at Energy Resources’ Mongolian Ukhaa Khudag coal mine. 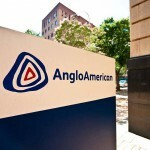 Anglo American cutting jobs, restructuring entire business (0) December 9, 2015 Anglo American has announced a “radical restructuring program” as it plans to cut 85,000 jobs globally and sell off assets. 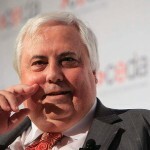 More than 700 jobs in the air ahead of potential refinery collapse (0) December 8, 2015 The fate of close to 800 workers’ jobs is waiting on news on whether Clive Palmer’s Yabulu nickel refinery will collapse. 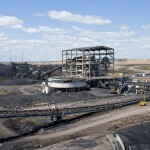 Nearly 80% of workers to be cut at coal mine (0) December 8, 2015 Close to 80 per cent of workers at Glencore’s Collinsville coal mine will be cut next year as it rolls down mining. 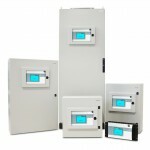 SICK LifeTime Services providing intelligent support for the entire lifecycle of sensors and solutions (0) December 8, 2015 Safety is a priority in all industrial environments with company managements investing in the latest technologies to keep their workers, machines and processes safe while maximising production availability. Thiess win Mt Owen coal contract (0) December 7, 2015 Thiess has been awarded a $760 million contract to operate Glencore’s Mt Owen coal mine. 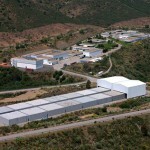 Australian refiner appointed to LBMA delivery list (0) December 7, 2015 Pallion refinery division ABC Refinery has been appointed to the London Bullion Market Association’s Good Delivery list for gold. 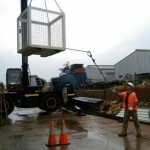 New construction jobs for Surat Basin region (828) December 7, 2015 The resources sector is expected to create more than 2000 jobs in the Surat Basin over the next two years, with coal seam gas the main contributor. Volvo lets four year old ‘test drive’ truck (0) December 7, 2015 Following on from using Jean-Claude Van Damme and hamsters to demonstrate its truck’s steering precision, Volvo has let a four year old drive its trucks to showcase its toughness. 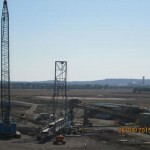 Workers injured at Clermont (33) December 7, 2015 Two workers have suffered hand injures at Glencore’s Clermont coal mine. 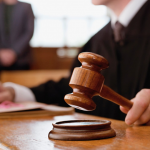 Worker’s caustic burns compo claim cut (0) December 7, 2015 A worker seeking compensation for burning his foot with caustic soda has had his claim reduced after footage emerged of him performing karate. Iron ore hammered again (0) December 7, 2015 Iron ore is continuing its slow decline, as major miners become more bearish on the metal. 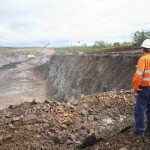 Cloudbreak maintenance death prosecuted five years on (0) December 7, 2015 Five years on from the death of Paul Torre at the Cloudbreak iron ore mine, contractor BTP Equipment (formerly Ausdrill Mining Services) has been fined $195,000. 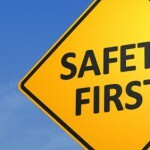 Still room for improvement in mining safety (0) December 7, 2015 The number of serious incidents occurring every year in mining has improved in recent years, but it still outranks that of other industries. 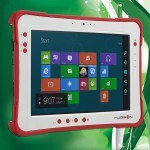 Supporting you to support your operations (0) December 7, 2015 In the current age of low commodity prices and high costs, miners’ opex and capex are coming under greater scrutiny. BHP train derails (147) December 4, 2015 An iron ore train derailed in WA yesterday, however no people were injured, according to BHP. 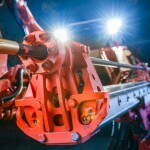 Sandvik releases new drill bits (4) December 4, 2015 Sandvik has launched new rotary drill bits, the RR221. Freeport reveals allegations of corruption against Indonesian speaker (0) December 4, 2015 Indonesian parliamentary speaker is under pressure to resign after he was recorded demanding company shares in exchange for his support for a mining operation. More miners walk off over black lung (0) December 4, 2015 More coal miners have walked off site, emulating workers at the Grasstree mine, following the re-emergence of black lung. Latest exploration funding round to drive growth (0) December 4, 2015 A fresh round of funding for exploration in Western Australia is expected to boost the industry and help continue a recent surge in gold exploration spending. 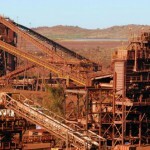 Can iron ore stem the fall? (0) December 4, 2015 Iron ore has fallen again to a new low, dropping to another new low. Worker seriously injured at processing plant (0) December 3, 2015 A worker has received burns during routine maintenance work on a processing plant in Western Australia. Anglo American coal miners walk off over black lung (0) December 3, 2015 Miners at Anglo American’s Grasstree coal mine have halted work over black lung safety concerns. 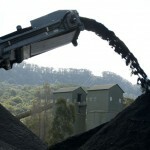 Are BHP and Rio dumping coal? (0) December 3, 2015 As investment funds worth more than a trillion dollars pledge to divest from fossil fuels, are BHP and Rio also making a silent exit? 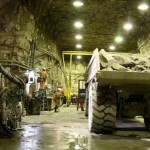 Rio uncovers large diamond as prices set for decline (0) December 3, 2015 Rio Tinto has unveiled a 187.7 carat rough diamond, as miners predict a decline in rough diamond prices ahead. 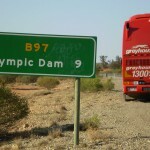 BHP to wind back jobs at Olympic Dam (0) December 2, 2015 BHP plans to cut around 30 per cent of its full time equivalent employees at Olympic Dam by FY17, BHP says. 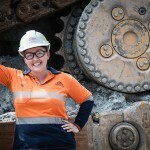 Mining injects $32bn into QLD economy (0) December 2, 2015 A new study has shown mining generated $32 billion for Queensland’s economy, and $7.8 billion for the Brisbane region alone. 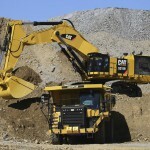 Mining equipment demand to grow globally (3) December 2, 2015 Demand for mining equipment is predicted to grow seven per cent annually to US$140 billion through to 2019. Vale to cut iron ore production (0) December 2, 2015 Mega iron ore miner Vale is the first of the majors to announce a reduction its iron ore production rates. 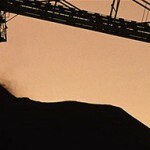 Calls for tighter coal standards as black lung re-emerges (0) December 2, 2015 Three Queensland coal miners have been diagnosed with Black Lung, marking a frightening return of the affliction. 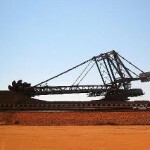 Iron ore slips below $40 (0) December 1, 2015 Iron ore has finally slipped below the new US$40 per tonne watermark. 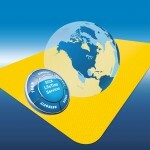 Win a CAT 775G! (1) December 1, 2015 Okay, maybe it’s not a real CAT haul truck, but this fantastic model could be yours for Christmas! 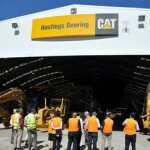 Hastings Deering makes more cutbacks (0) December 1, 2015 Central Queensland will suffer another 100 job losses as Hastings Deering continues to downsize its mining services division. Mining marsupials rescued after getting the shaft (0) December 1, 2015 Four kangaroos have had a lucky escape after falling down a mineshaft in Central Victoria. 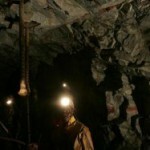 The top ten issues facing miners in 2016 (0) December 1, 2015 Deloitte has compiled a new report outlining the top 10 problems miners will face next year. A dedication to safety supporting the world’s leading mines (0) December 1, 2015 Orica aims to make a safer working environment through assisting those working with sodium cyanide to employ safe and efficient handling practices. 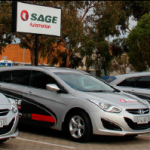 South Australia sees massive copper investment (0) December 1, 2015 South Australia’s government has announced a massive $20 million investment into the state’s copper industry. 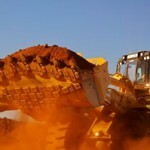 Flinders Mines deal falls through with hopes for Chinese investment (0) November 30, 2015 Flinders Mines will look to China for investment after a buyout deal for their Pilbara project fell through. 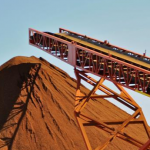 More iron ore to hit the market (4) November 30, 2015 New reports are predicting more than 100 million tonnes of new iron ore supply will hit the market. Drayton South miners hang shirts in protest (0) November 30, 2015 Mineworkers at Drayton South have protested against the knock-back of planning for an expansion to the Hunter Valley coal mine. 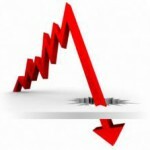 Mining investment to implode (1) November 30, 2015 Mining investment in Australia is set to decline sharply over the next three years, resulting in 20,000 job losses. Native title to be extinguished for Carmichael coal (16) November 30, 2015 Plans to extinguish native title rights over land held by Adani for the Carmichael coal mine have been met with outrage from traditional landowners. 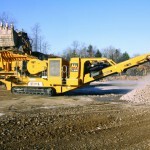 Atlas Copco launch new surface drill (0) November 30, 2015 Atlas Copco has developed a new surface drill for dimension stone drillers. Gold dips to 2010 lows (0) November 30, 2015 Gold is taking a pounding on the back of optimism in a US Federal Reserve rate hike. 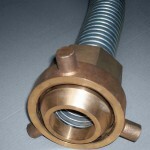 A new backing compound for gyratory and cone crushers offers improved user-friendliness, sustainability and strength (0) November 30, 2015 Replacing two existing products, a new and improved, low-odour crusher backing compound tackles many of the application’s big challenges head-on. Green light for new Rio Tinto bauxite project (1) November 27, 2015 A new bauxite project has been given the go-ahead in Northern Queensland, which will provide ongoing employment for 1100 people. 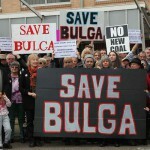 Bulga residents pledge civil disobedience against Warkworth mine (0) November 27, 2015 In the wake of final approvals of the Warkworth coal mine expansion, Bulga village residents have pledged to use civil disobedience to continue the fight against the mine. 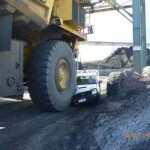 Haul truck incident shows importance of inspection procedure (0) November 27, 2015 A report from the NSW Department of Resources and Energy has highlighted the importance of procedural controls in preventing haul truck collisions with light vehicles. How much is the 1111 carat diamond worth? (0) November 27, 2015 The discovery of the second and sixth largest diamond ever has sent shockwaves through the industry, but what is its value? Roy Hill in court over missed shipment (0) November 27, 2015 Roy Hill Holdings was back in court yesterday with accusations that principal contractor Samsung C&T has deliberately held up the project as a commercial strategy. 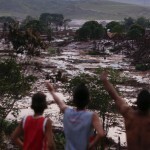 BHP rejects claims of ‘toxic’ Samarco tailings (0) November 27, 2015 BHP has rejected claims by the UN that the tailings released from the Samarco Dam disaster are toxic. 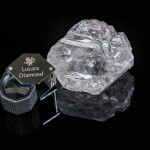 Sixth largest diamond ever discovered (0) November 27, 2015 Lucara has hit the jackpot again, uncovering an 813 carat diamond only days after their 1111 carat discovery. 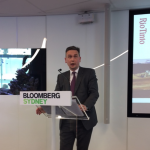 Rio calls for focus on social licence to operate (0) November 26, 2015 Rio Tinto chief exec for coal and copper, Jean-Sébastien Jacques, has called for greater transparency in mining, and outlined the miner’s bullish stance on copper. 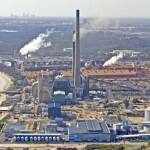 Black day for WA workers with three dead (0) November 26, 2015 Western Australian industry saw a nightmarish day yesterday with the deaths of three workers in a matter of hours, one of whom was killed at the Alcoa Refinery in Kwinana. 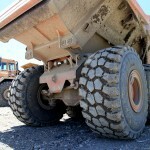 CSA mine to receive new infrastructure investment (0) November 26, 2015 The CSA Copper mine at Cobar will see a fresh boost with the investment of $150 million in a new expansion. 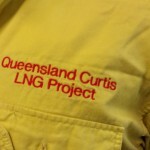 Handover of QCLNG to BG Group complete (0) November 26, 2015 One of Queensland’s largest construction projects has come to a close, as BG Group takes handover of the QCLNG Train 2 from Bechtel Australia and begins commercial LNG operation. 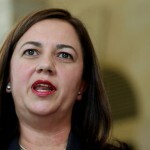 QLD eager to build mining (0) November 26, 2015 Queensland’s government is creating new roles and taskforces to promote mining and resources in the state. 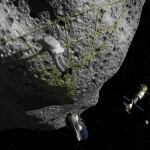 US signs asteroid property law (15) November 26, 2015 President Obama has signed an act recognising US citizens’ right to own and mine asteroids. 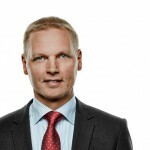 Sandvik CFO resigns (5) November 26, 2015 Sandvik CFO and vice president, Mats Backman, has announced he is leaving the company. 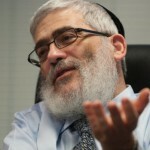 Flexibility: vital to the survival of mining (0) November 25, 2015 Mining is entering a new era where it needs to be flexible and ready to adapt immediately. Iron ore reaches record low (0) November 25, 2015 Iron ore has reached its lowest point since SteelIndex began keeping records. Carmichael mine appeal dubbed ‘shambolic’ (20) November 25, 2015 A Federal Court appeal against Adani’s Carmichael coal mine has been called ‘shambolic’ and confused. 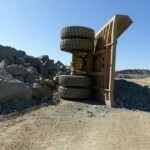 Haul truck fatality leads to seatbelt warnings (0) November 25, 2015 Haul truck operators have been reminded to always wear their seatbelts while driving, in the latest significant incident report from the Department of Mines and Petroleum. 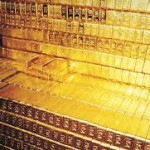 Gold drops to five year low (0) November 24, 2015 Negative sentiment has seen December delivery gold futures drop one per cent on Monday night, to trade at a new five year low. 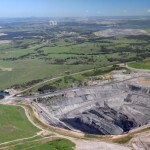 Whitehaven Coal strikes native title agreement for Maules Creek (0) November 24, 2015 Whitehaven Coal has struck a Native Title Agreement with the Gomeroi Nation which will see access granted for the use of 300 hectares of land in the Gunnedah Basin. 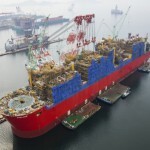 Monadelphous scores big on Shell FLNG (0) November 24, 2015 Monadelphous has landed one of the best maintenance contracts in Australian LNG, looking after Shell Australia’s Prelude FLNG project. 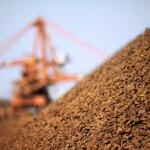 Will iron ore fall below US$40 per tonne? (0) November 24, 2015 Market bears are predicting iron ore will continue its decline, falling below US$40 before the end of the year. 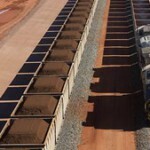 Iron ore future appears grim (79) November 23, 2015 As iron ore prices reach near-decade lows, banks are predicting a continued downwards trend for the metal. Newman FIFO camp causes Coalition divide (0) November 23, 2015 WA premier Colin Barnett has come under fire for his support of a FIFO camp licence extension at Newman. 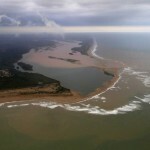 Samarco tailings pollution reaches Brazillian coast (0) November 23, 2015 Toxic mud from the Samarco dam burst in Brazil has reached the Atlantic Ocean, amid claims this is the worst environmental disaster seen in the country. Worker injured in WA (0) November 23, 2015 A worker has been injured while operating high pressure water jetting equipment. Cat release new mining shovel (0) November 23, 2015 Caterpillar has unveiled a new hydraulic mining shovel. 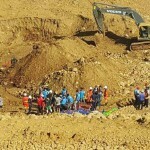 200 feared dead in jade mining landslide (0) November 23, 2015 Nearly 100 people have been confirmed dead after a landslide near a jade mine in Myanmar, with fears for an estimated 100 still missing. 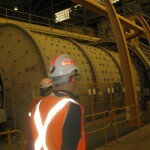 Newcrest’s Cadia concentrator operating again (0) November 23, 2015 Cadia mine’s 1 SAG mill is back in operation following a breakdown earlier this year. 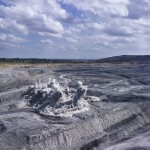 Yancoal’s Ashton East court appeal rejected (0) November 20, 2015 An expansion of Yancoal’s Ashton South East open cut coal mine will not go ahead after their appeal against environmental conditions was dismissed by the NSW Supreme Court. 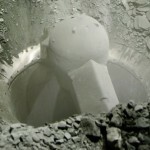 New radioactive disposal sites announced (0) November 20, 2015 The push for a National Radioactive Waste Management Facility has gone a step further, with six possible sites identified by the Federal Government. 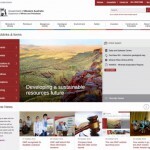 New DMP website to go live (0) November 20, 2015 The WA Department of Mines and Petroleum will launch their new “modern and clean” website next week, on Tuesday 24 November. 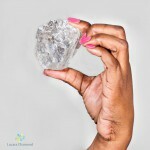 Second largest ever diamond recovered (0) November 19, 2015 Lucara Diamond Corp has uncovered the world’s second largest single diamond. 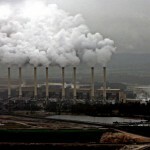 Victorian government announces coal review (7) November 19, 2015 The failure of a new demonstration power plant to attract private investment has led the Victorian Government to withdraw funding and announce an independent review of past development projects. 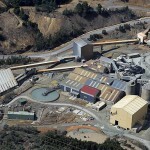 Mt Lyell copper mine reopening delayed (0) November 19, 2015 Copper Mines of Tasmania (CMT) have deferred their decision to reopen the Mt Lyell mine, despite the offer of a $25 million assistance package from the state government. 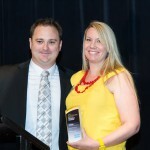 2015 Prospect Awards – Hard Rock Mine of the Year [VIDEO] (0) November 19, 2015 Increased safety and use of automation has seen the Northparkes Mine lead the field in hard rock mining. 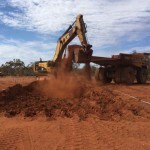 Kalgoorlie North gold project commences (23) November 19, 2015 Mining has commenced at Excelsior Gold’s Kalgoorlie North Project, opening a new phase for the junior miner. 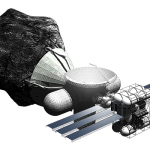 US senate passes space mining bill (0) November 19, 2015 Space mining is becoming a reality as the US senate passes a bill to allow companies to mine asteroids. 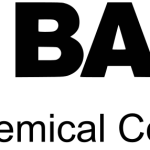 BASF rejigs resources business (0) November 19, 2015 BASF has now reorganised its oilfields and mining businesses within the Performance Chemicals division. Upper Hunter Mining Dialogue Community Day (0) November 18, 2015 The co-existence between the community and the mining industry is in focus at the upcoming Upper Hunting Mining Dialogue community day. 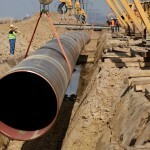 NT to Qld gas pipeline to start in 2017 (8) November 18, 2015 A new proposal for a gas pipeline from the Northern Territory to Queensland has been successful in winning the tender for construction. 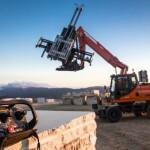 Why optimising your mining operation matters more than ever before (0) November 18, 2015 For any mining operation, downtime is expensive. This is where using Business Management Software can make the difference between increasing the productivity and efficiency of a mining. 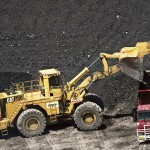 Cockatoo Coal faces administrators (1) November 18, 2015 Cockatoo Coal has gone into administration, threatening chances for further growth at their Baralaba operation. 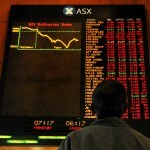 RBA believes worst is over for commodities (0) November 18, 2015 The Reserve Bank of Australia is optimistic that the mining decline has passed its worst point. 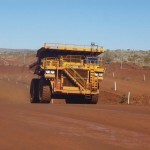 Hope Downs mine gets EPA approval for expansion (0) November 18, 2015 The EPA has approved the extension of the joint venture Rio Tinto and Gina Rinehart iron ore mine Hope Downs. Operations resume at Paulsens Gold Mine (0) November 18, 2015 Northern Star Resources has advised that operations have resumed today at the Paulsens Gold Mine in WA.